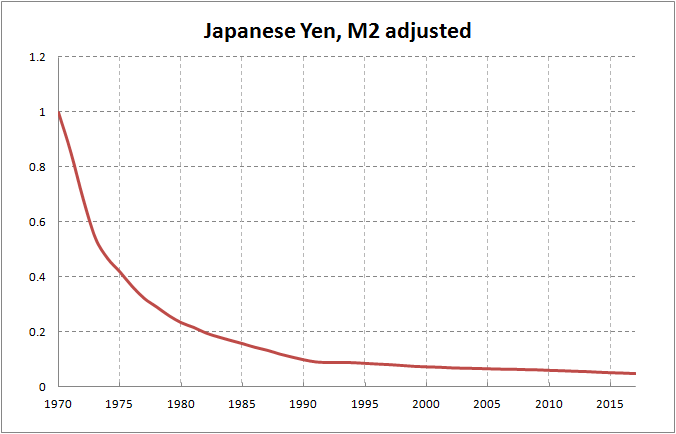 It is interesting to see that japanese stock market bubble was preceded by massive money creation. From the year 1970 to 1983 M2 money-stock multiplied nearly 6 times. Half-life of yen in that period was 5.27 years. 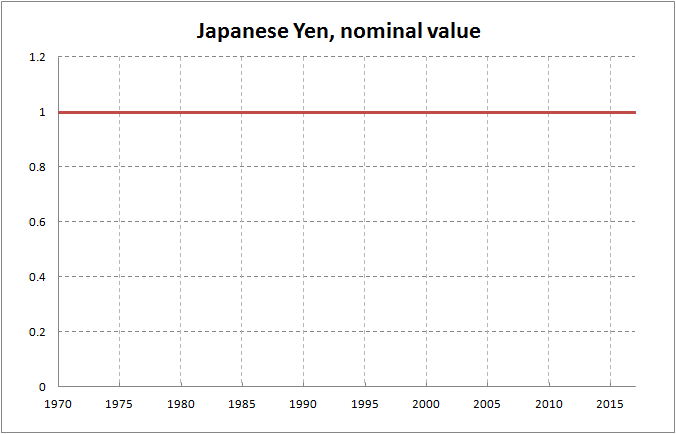 Every 5.27 years yen had lost 50% of its value. In long term is the half-life of japanese yen 10.87 years. I used to be suggested this blog by means of my cousin. I am not certain whether or not this post is written by means of him as nobody else recognize such exact approximately my difficulty. You’re amazing! Thank you! You ought to be a part of a contest for one of the most useful websites on the internet. I am going to highly recommend this web site!